My book Non-Stop: A Turbulent History of Northwest Airlines covers NWA’s history from its first flights as an airmail carrier in 1926 to its final sad days before its acquisition by Delta Airlines in 2010. Along the way, the book tells countless stories — important and incidental, famous and obscure — that reveal the airline’s changing challenges and successes over the decades. 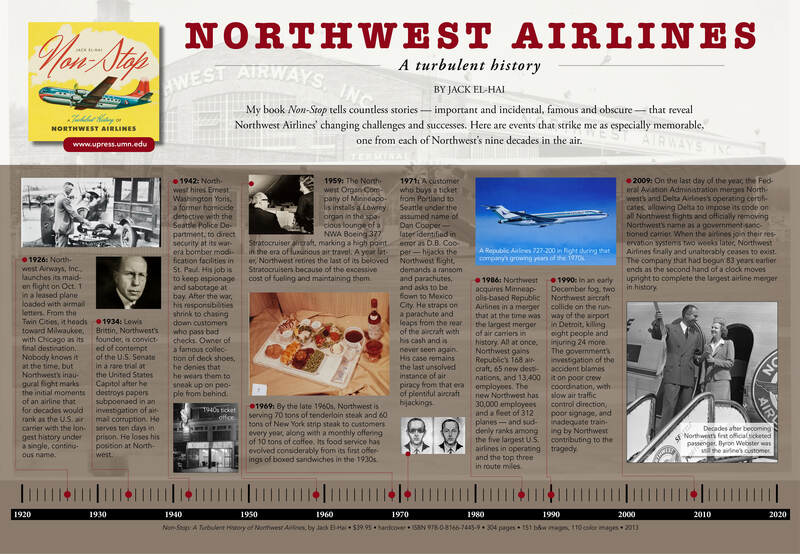 Here’s a listing of some of the events that strike me as especially memorable, one from each of Northwest’s nine decades in the air. 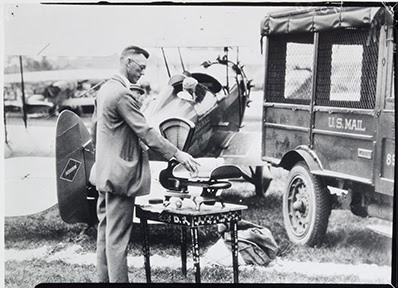 from St. Paul after the resumption of airmail service in 1926. Northwest Airways, Inc., launches its maiden flight on October 1 in a leased plane loaded with postal sacks stuffed with airmail letters. From the Twin Cities, it heads into the east toward Milwaukee, with Chicago as its final destination. Nobody knows it at the time, but Northwest’s inaugural flight marks the initial moments of an airline that for decades would rank as the U.S. air carrier with the longest history under a single, continuous name. Lewis Brittin, Northwest’s founder, is convicted of contempt of the U.S. Senate in a rare trial at the United States Capitol after he destroys papers subpoenaed in an investigation of airmail corruption. He serves ten days in prison and occupies a cot “between a bootlegger and a burglar,” he says. He loses his position at Northwest. Northwest hires Ernest Washington Yoris, a former homicide detective with the Seattle Police Department, to direct security at its war-era bomber modification facilities in St. Paul. His job is to keep espionage and sabotage at bay. After the war, his responsibilities shrink to chasing down customers who pass bad checks. Owner of a famous collection of colored and rubber-soled deck shoes, he denies that he wears them to sneak up on people from behind. 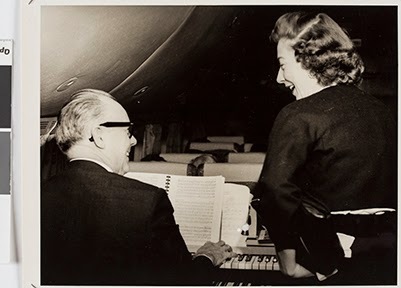 a Lowrey organ in a Stratocruiser cabin. 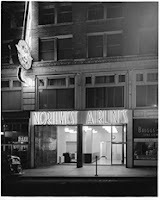 The Northwest Organ Company of Minneapolis installs a Lowrey organ in the spacious lounge of a NWA Boeing 377 Stratocruiser aircraft, marking a high point of sorts in the era of luxurious air travel. A year later, Northwest retires the last of its beloved Stratocruisers because of the excessive cost of fueling and maintaining them. A first-class meal, circa 1960. 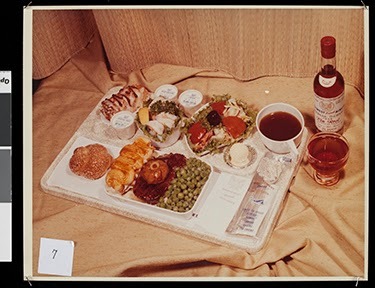 By the late 1960s, Northwest is serving seventy tons of tenderloin steak and sixty tons of New York strip steak to customers every year, along with a monthly offering of ten tons of coffee. Its food service has evolved considerably from its first offerings of boxed sandwiches in the 1930s. one in the annals of American air piracy. 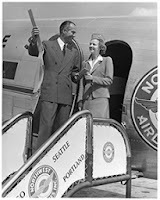 A customer who buys a ticket from Portland to Seattle under the assumed name of Dan Cooper — later identified in error as D.B. 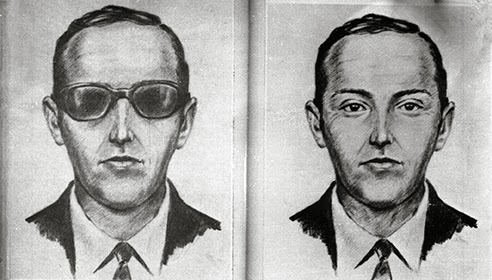 Cooper — hijacks the Northwest flight, demands a ransom and parachutes, and asks to be flown to Mexico City. He straps on a parachute and leaps from the rear of the aircraft with his cash and is never seen again. His case remains the last unsolved instance of air piracy from that era of plentiful aircraft hijackings. growing years of the 1970s. 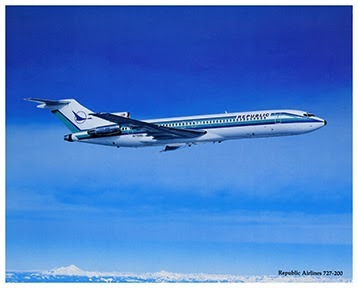 Northwest acquires Minneapolis-based Republic Airlines in a merger that at the time was the largest merger of air carriers in history. 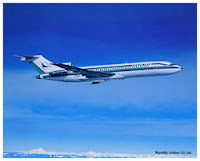 All at once, Northwest gains Republic’s 168 aircraft, 65 new destinations, and 13,400 employees. The new Northwest has 30,000 employees and a fleet of 312 planes — and suddenly ranks among the five largest U.S. airlines in operating and the top three in route miles. In an early December fog, two Northwest aircraft collide on the runway of the airport in Detroit, killing eight people and injuring 24 more. The government’s investigation of the accident blames it on poor crew coordination, with slow air traffic control direction, poor signage, and inadequate training by Northwest contributing to the tragedy. On the last day of the year, the Federal Aviation Administration merges Northwest’s and Delta Airlines’s operating certificates, allowing Delta to impose its code on all Northwest flights and officially removing Northwest’s name as a government-sanctioned carrier. When the airlines join their reservation systems two weeks later, Northwest Airlines finally and unalterably ceases to exist. The company that had begun 83 years earlier ends as the second hand of a clock moves upright to complete the largest airline merger in history. 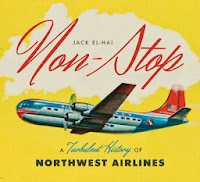 Jack El-Hai is author of Non-Stop: A Turbulent History of Northwest Airlines. 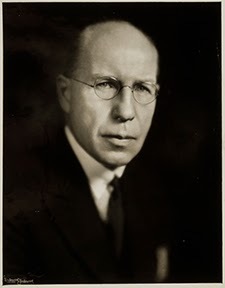 His other books include Lost Minnesota: Stories of Vanished Places; The Lobotomist: A Maverick Medical Genius and His Tragic Quest to Rid the World of Mental Illness; and The Nazi and the Psychiatrist. He has written about business and history for the Atlantic, Scientific American Mind, History Channel Magazine, American Heritage, and Utne Reader. "Jack El-Hai faithfully propels us through the history of a company we all took for granted. From rickety planes delivering mail to one of the largest and most respected airlines in the world, El-Hai lays it out through the highs and lows. At the beginning, heroic pilots and primitive gear, all the way to D.B. Cooper and the Underwear Bomber, the intriguing leadership and crafty politicians, to the final day when the lights went out at Northwest Airlines—all here presented in masterful style."